Watershed Protection emphasizes measures to protect our water resource systems at the macro level. Watershed protection includes maintaining the sources of our waters such as the tributaries, wetlands, and aquifers, while safeguarding both terrestrial and aquatic imperiled wildlife species. Examples of this policy include enforceable regulations to protect specific resources like stream bank vegetation, sensitive habitats, wetlands and groundwater, which contribute to healthy stream flow. Privately-owned hydropower dams are regulated by the Federal Energy Regulatory Commission (FERC). Each hydro project is licensed by FERC for a term of 30-50 years. There are numerous hydropower dams in Alabama going through the FERC relicensing process. The Alliance participates in the relicensing process, which can last five years or more, to ensure a fair balance of power and non-power uses of the water resources and ensure environmental laws such as the Clean Water Act and the National Environmental Policy Act are upheld. 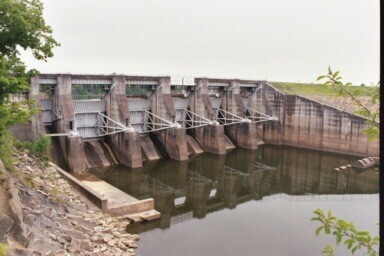 For an illustration of how hydropower dams can impact our environment, visit DamEffects.org. For more information about the relicensing process and how to get involved, please visit the Hydropower Reform Coalition website. For more information on the Alabama Power relicensing projects, please visit the project websites.